This week we at Just Add Ink are featuring some fabulous Stampin' Up! products - Thinlits Card Dies, and the Envelope Punch Board. We are presenting our projects in a fun blog hop ... there are 14 of us taking part, and we hope you'll visit all our blogs to see what we've made. You may have come to my blog from the super-creative Chantell Randall's blog. If not, don't worry - you'll get to see Chantell's project as you make your way around the blog hop. There's a list of all blog hop participants at the end of my post. My starting point for today's project was the super-cute Five-Way Flower stamp, that co-ordinates beautifully with all of Stampin' Up! 's scallop circle punches. Because I wanted to alternate the flower layers in Real Red and Tempting Turquoise, I ended up with two flowers - so I made two cards. 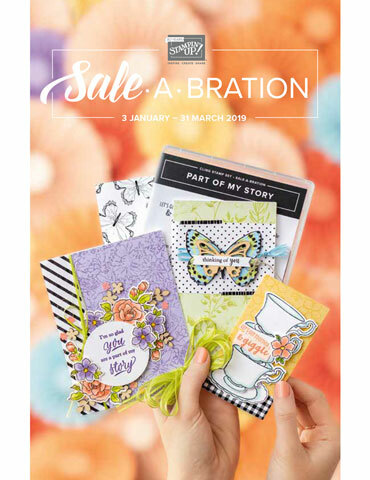 Next on the blog hop today is Delys Cram ... if you click on the icon below, you'll get to see her gorgeous creations. In case you get lost along the way, on today's blog hop, here's a list of all the participants. 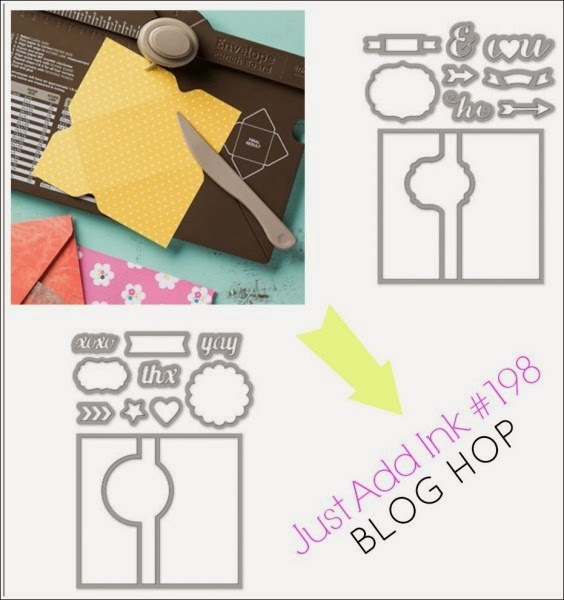 We hope you are inspired to share with us, on the Just Add Ink blog, your creation using one of the fabulous tools we've featured today! Christine these cards are lovely and especially how you have done them in both colour ways. I prefer making this card myself with the additional panel for writing a message. Brilliant, I love it/ them. Five way flower stamp ? Looks like I need to check that one out. I love the way you showed how you did your card, and both are lovely. Great card Christine. Love the bold colours. Hi Christine. Happy New Year to you and your family. I love both of your cards, great colours, I don't know if my first post went through!! WOW!! !I love the colours. This is a great card. These are really lovely Christine, love the bold blues and reds together! I'm so happy that you explained how the flip/thinlits work - I haven't 'gone there' because it all looked too confusing. Your pics are very helpful. A very cool card, Christine. You've done well with bright colours - I struggle in this area! They look terrific. Love the gorgeous bold colours. Very striking combo. Christine your cards are just fabulous Christine and show off the thinlit use perfectly! Such a fun colour combo too! Great projects, Christine. So bright and colourful! These cards are so bright and pretty, Christine! I love that color combination. Thanks from another visual learner as to how you get the extra panel. I haven't ordered this product yet, but you make it look very appealing and easy to use. That Glimmer Brad on the second card really added great pop! Great colour combination Christine - I'm particularly partial to red and polka dots! 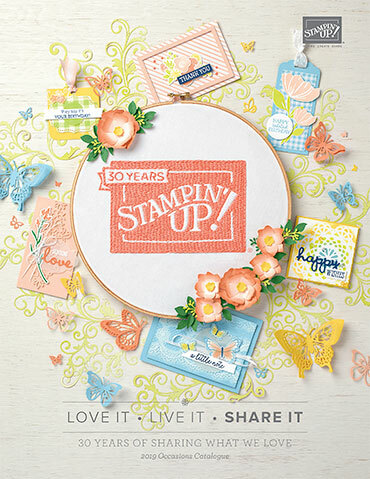 SHOP ONLINE 24/7 FOR STAMPIN' UP! PRODUCTS! Enter your email address to find out when I update my blog! Thanks for visiting my little corner of the world! If you choose to CASE my designs, please give me credit. Thank you!